Telesales is the selling of a company's products or services by telephone, either by phoning possible customers or by answering calls from customers. 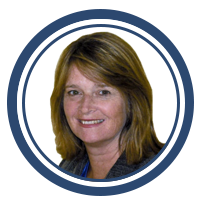 Ceri Ruenheck is the president of It’s Your Call, a business to business telemarketing firm that was established in 1994. It’s Your Call helps small businesses make the necessary outbound calls that they might not have the resources to perform themselves. In 2009 she opened a second business with her husband, Two Cool Cats, a website development company. In addition to running those businesses, Ceri consults to small companies who need help with putting together a marketing process. She is also a noted speaker and author of the e-book “Cold Calling for the Clueless." She is the mother of two boys and two cats all living in Harvard, MA. Click to view Ceri's Smarketing Connect Page.